With the weather taking a nosedive and snowfall just around the corner, the holiday spirit is really starting to kick in. This is especially fitting since we were recently invited to take part in a local fundraising/charity event at Rice Eccles Stadium that involved both holiday spirit AND kicking. 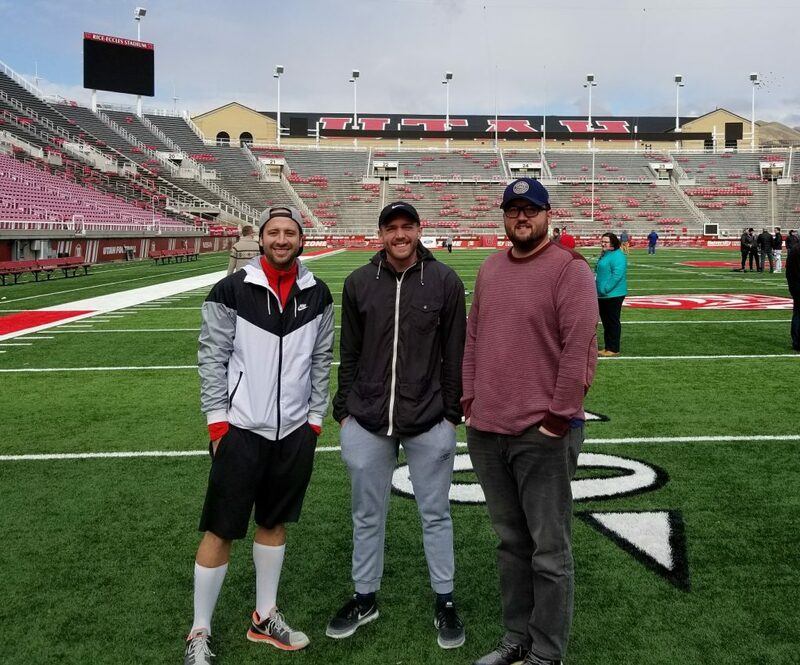 Yesterday, Tuesday Nov. 7, we had the opportunity to attend the Startup Santa Tailgate at the football stadium at the University of Utah. The Startup Santa Tailgate is a children’s book drive fundraising event that is presented/sponsored by Boomsourcing. To gain entrance to the event, local businesses were asked to bring at least 5 new children’s books for each team member that wanted to attend. Once inside the stadium, participants got the chance to kick field goals to try and earn some fun prizes. One member of our team, Jon Bingham, even held the record of the second longest field goal made at 51 yards (at least for a while). There were also food and drink items that could be bought, with all proceeds going towards the book drive. We had a blast at the event and quickly learned how hard it is to kick a pigskin more than 25 yards (see video). More than that, though, it felt good to contribute to a cause that is making a difference in the lives of thousands of children in our community and throughout the state. The Startup Santa initiative uses events like this to collect new books and money to support childhood literacy programs for low-income families in Utah. Last year, they collected around 87,000 books and nearly $437,000 in donations to support underprivileged kids. This year they are hoping to do much more than that. At BKA Content, words are our business, so being able to give back in a word format (books) is an absolute perfect fit. We know there are many ways to give back during the holiday season and we encourage you to do so in whatever way you see fit. If you’re still looking for ways to help this holiday season, the Startup Santa initiative might be a great place to start. See how you can help by visiting their website here.